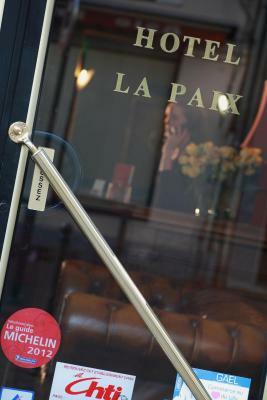 Lock in a great price for Hotel De La Paix – rated 8.3 by recent guests! We requested a quiet room and were provided one. We already stayed in this hotel. Quietest sleep I have ever had in a Paris hotel. Staff was great. Location great ,walked from station.Staff great. very quirky nice. 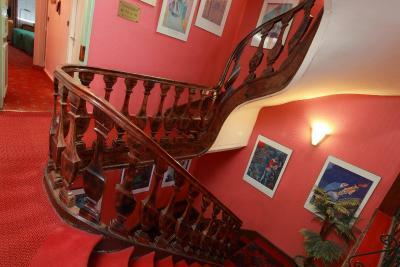 Stayed in many hotels in France as our Daughter lives in Paris.Very Art decor style, great takes you back in time in a nice way.Fantastic Stairs and landings. Staff very nice.Breakfast was good value as compared to hotels we have stayed at. Would have liked tea and coffee facilities in room.Location was great , we walked from eurostar station 15 mins. 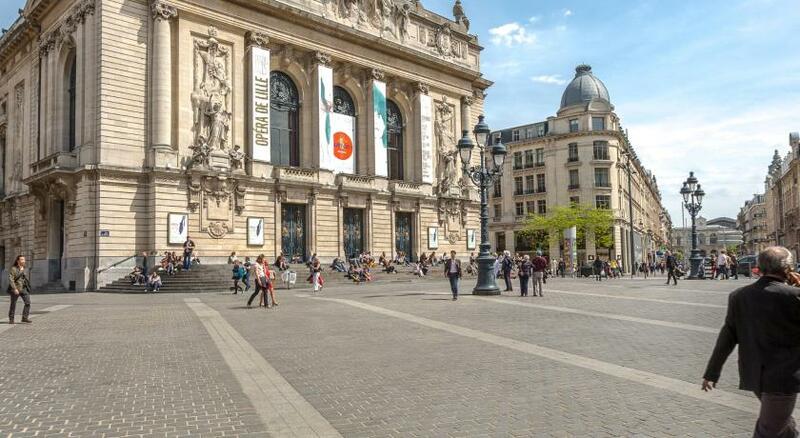 great location for places to eat and drink, 1min walk into main square. Would stay here again. Nice old building and the staircase... some old character maintained. Bed comfortable. Room quite large. Very close to triain station and old city. Most of the Staffs are Very friendly and helpful. Very warm in the room. 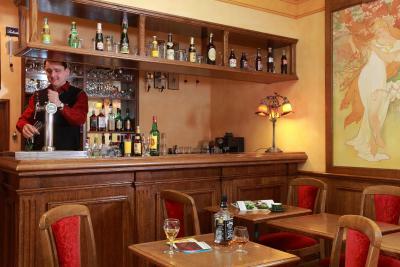 The hotel is on a great location, with pleasant staff and good breakfast. 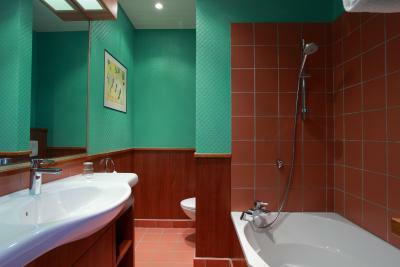 The room and bathroom well kitted out with all the equipment you need. 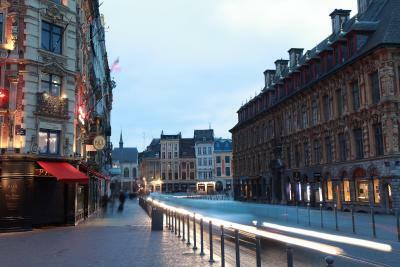 The hotel is very convenient for the town centre. The room was large, with plenty of storage. The toilet was separate to the bathroom. 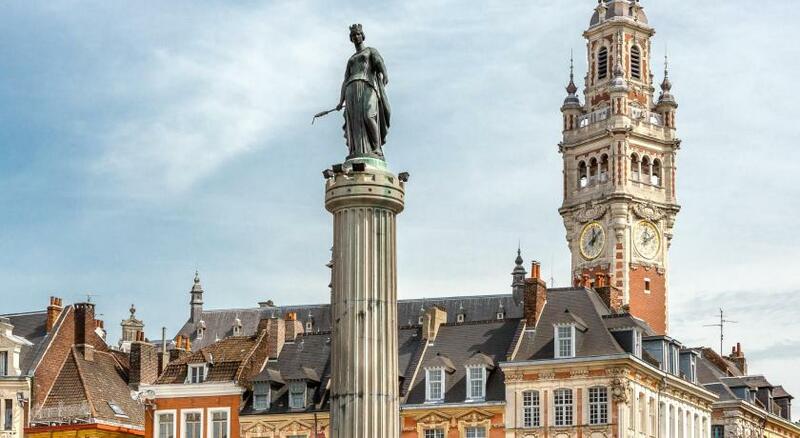 nice environment, next by the center of Lille with its marvellous monuments -place général de Gaulle, theater, statues, chambre de commerce, béffroi, ... - , the shopping places, restaurants, bars, the 2 train station of Lille Flandres (5 min walking distance) & Lille Europe (12 min walking distance) in the room you have everything that is useful for your stay : a desk with paper & enveloppes, a corridor with a luggage table, a comfortable bed, a fridge, a hair dryer, ... to get to the room you have nice stairs or elevator good personnel at the reception !! 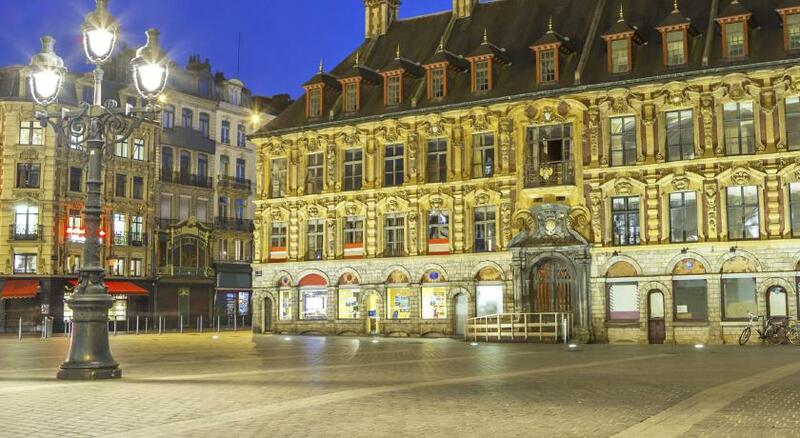 This charming hotel is located in the central pedestrianized area of Lille, only 1,000 feet from the Monument à la Liberté de Lille and 1,800 feet from Nouveau Siècle Convention Center. 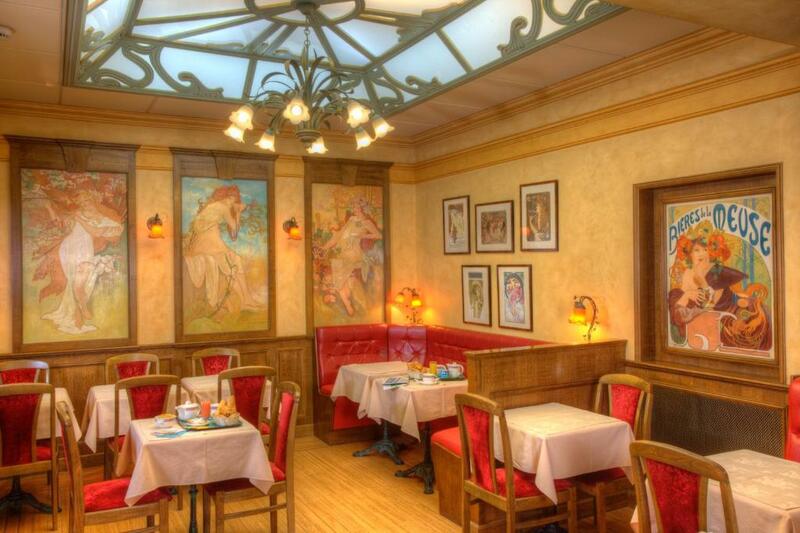 Hotel De La Paix features a traditional 19th-century staircase and is decorated with artwork. Guest rooms boast free WiFi access. 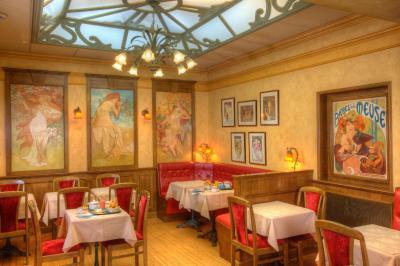 Enjoy a drink in the hotel’s Art Nouveau-style cafeteria before setting off to explore Lille. 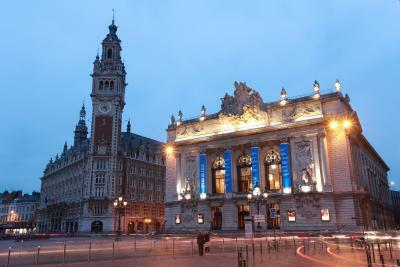 Lille Grand Palais is 0.6 mi from the property. 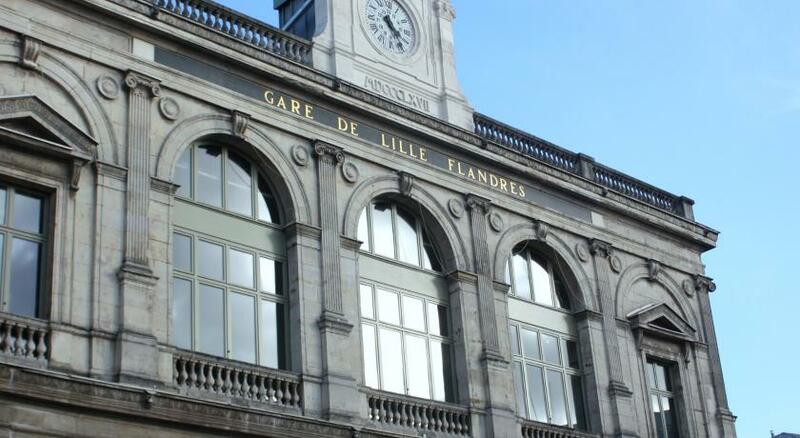 Lille Flandres Train Station is 1,150 feet from Hotel De La Paix, while Lille Europe Train Station is 0.6 mi away. This room includes a minibar, a TV with satellite channels and a private bathroom. Rooms with windows on the street can be a bit noisy. Location is great; room are clean. Bit run down, bit chilly and a bit over priced compared with comparable hotels I stayed in in France and Germany on this trip. Trading on proximity to Eurostar I think. There was a lack of hot water. Using the shower we had no need for any cold water to be added! 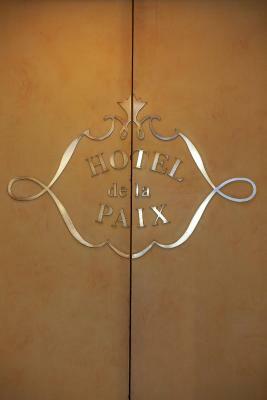 Hotel De La Paix was so lovely and it's atomphere was just a Paix! 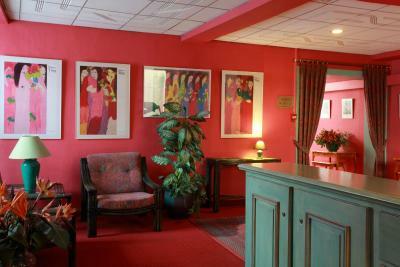 All in the hotel was so beautifu, colours, art in the room and everywhere. Hotel and room were so clean. Staff was very friendly! We really will say that staying there was " feel like a home". 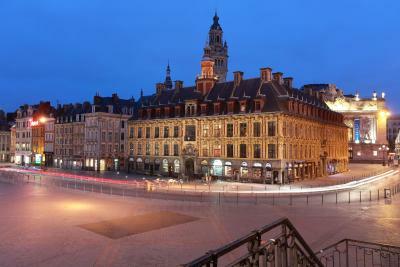 Traditional french style hotel in the heart of Lille! The room decor was absolutely vile!!! Bed was a bit old. Wifi had limited range. Room was small even by Parisien standards. But as a solo traveler it wasn't an issue.